A colorful bouquet featuring pink gerber daisies is photographed at a Camarillo Ranch wedding. 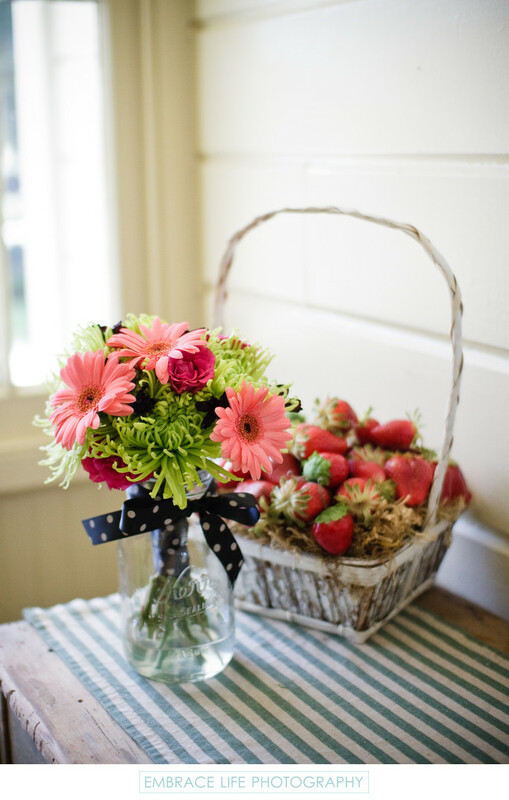 The cute flower arrangement is wrapped in a black and white polka dot ribbon, sitting inside a mason jar in front of a rustic basket of strawberries and is photographed atop a vintage cabinet at the historic Ventura County wedding venue popular among couples looking for a vintage or barn wedding location. Location: 201 Camarillo Ranch Road, Camarillo, CA 93012.